There are many reasons to love summer. The fact that I live in Chicago and we seem to only have two seasons (pffffftt.) might have something to do with it. And the fact that I hate the cold ranks pretty high up there too. But maybe most of all, it’s a season in which we can wear sandals and I don’t need to track down missing socks every day. 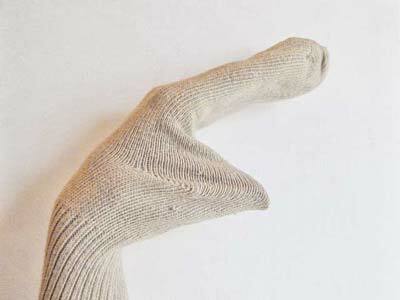 So, for all the missing mismatched socks we have in this house, I should have a sock puppet museum by now. Seriously. 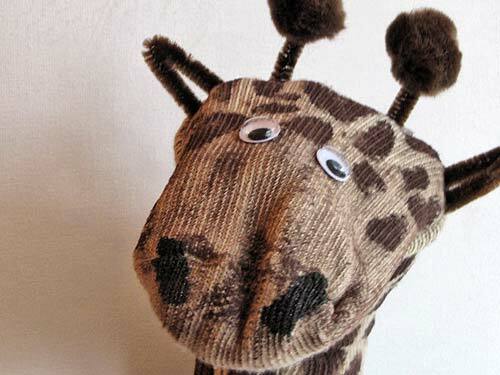 So to keep with our recycled crafts theme of the week for Earth Day, here’s a pretty darn cute animal sock puppet idea. Do all your prep work before you start painting, because you’ll be assembling most of this puppet while it is on your hand, which will make it a little tricky to do other things. Step One: Cut the pipe cleaner into 4 pieces. 2 pieces are 1″ inch long, 2 pieces are 2″ inches long. Bend the longer pieces in half to form the ears. 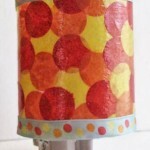 With the glue gun, glue one end of the shorter pieces into the center of the pom poms. These are the giraffe horns. Step Two: Get your paint and brush ready, and make sure it is slightly watery like tempera or acrylic paint in the containers in the photo above. 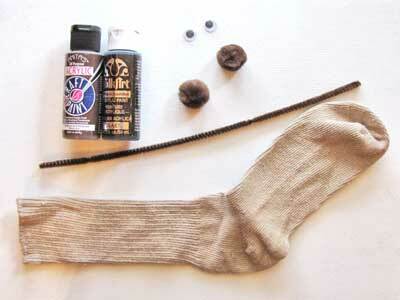 If you’re using thicker paints, it will be much harder to get it to sink into the sock fibers. Step Four: Paint spots on the sock. They should be random, mishapen spots like on a real giraffe. For a ‘realistic effect’ (ha! ), you can make the spots smaller as they get closer to the head. Then paint two black spots on the nose as shown in the first photo for the nose holes. Step Five: Use the hot glue gun to glue the googly eyes, pipe cleaner ears, and pom pom horns onto the head. This sounds like it might be tricky, but it isn’t. 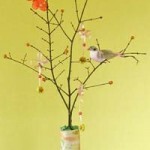 Just put a drop of the glue the size of a small pea where you want the parts, and stick them on. I glued the ears into the fold of the sock that you can see in the photo above, directly to the left of the paint brush at the back of the puppet mouth. Step Six: Play with your sock puppet! This is so. freakin. cute! 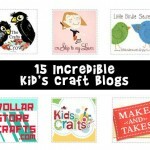 I’ll be linking over from http://www.onecraftyplace.com. Thanks! 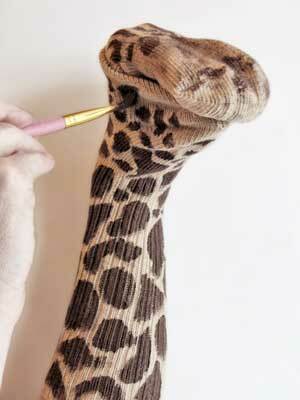 Pingback: One Crafty Place » How to Make the Cutest Giraffe Sock Puppet. Ever. That is so darn cute! Thanks for sharing this easy tutorial! thank you for sharing this craft with me. Great puppet, my kids are going to love this one. Thanks! sou do Brasil trabalho com artesanato didático e achei a girafinha muito simpática. Moro em Cabo Frio Rio de Janeiro. Adorable!! I love everything about this and am sending the idea on to our sign language teacher. 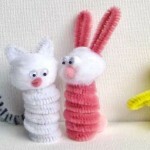 I’ve also linked back here from my blog, The Handmade Experiment in a post all about handmade toy tutorials. Thanks! 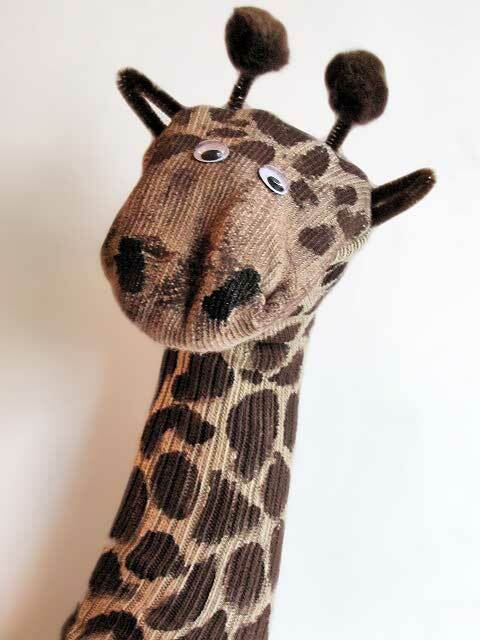 I absolutely LOVE this giraffe sock puppet ! Gorgeous & right up my alley ! My daughter did this one, did this one, she made a tiger. It came out great. Great idea, it looks sooooooo cute!!!!! This is adorable!! 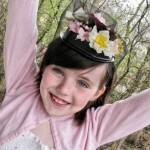 I am going to have to add a link to this on my posts for Earth day at http://www.toddlercraft.net ! 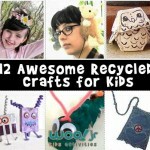 I love this giraffe puppet and the fact that it is recycled is even better!! You have wonderful ideas here. This is so cute! My son would love it. I have pinned this post.